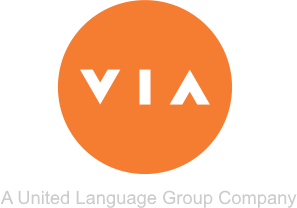 As part of VIA’s transition to United Language Group (ULG), beginning on Monday, June 11, new translation jobs that previously would have been submitted through the VTP should be submitted through our Octave Portal. If you would like to submit a new job through Octave, please contact your sales representative for Octave login credentials or send an email to customersupport@ulgroup.com. Translation jobs that were submitted through the VTP prior to Monday, June 11 will be accessible with your current VTP login credentials through the completion of those jobs. Welcome to the Translation Platform. See how easy it is to have global translation, estimating, and project management at your fingertips! Watch a quick overview video now.